If you're a parent, you know kids ask a lot of questions about a lot of things! But what do you say when they start asking the big questions about God? Here are four tips to help you navigate those conversations. Sometimes it feels like kids ask a thousand questions a day. They want to know everything there is to know: “Why is the sky blue?” “Can I try that?” “Are we there yet?” Their curiosity never ends! Usually we know the answers, but what do you say when they start asking the big questions? You know . . . the ones about God, faith and religion? The church is a great place for kids to learn more, but if you're a parent, you can't leave it up to other people to talk to your kids about something as important as the Creator of the universe. Here are four tips that can help you talk to them about God and faith. 1. Know what you believe—and live it out. This may seem obvious, but who out there hasn’t slipped up and handled a situation in a less-than-Christlike way? It’s easy to do, even in front of our kids. But when it comes to kids, more is caught than taught. Talking about your faith—and the ins and outs of theology—is important, but actually living it out will have a greater impact on your kids’ own faith journey. Claiming to follow God but not modeling it does a disservice to your kids. So choose your actions just as carefully as your words to show your kids what it really means to follow Christ. 2. Keep the conversation age-appropriate. 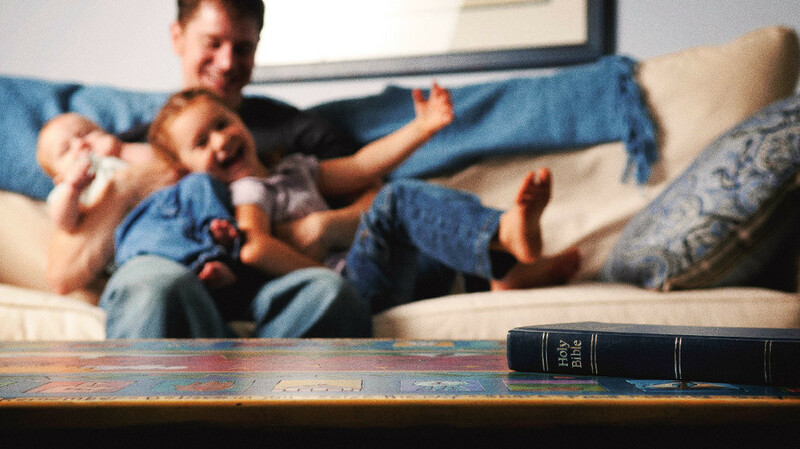 You don’t need to bend the truth when your kids ask some heavy questions about God or the Bible. But you don’t want to get into a theological debate with your toddler, either. That’s why it’s important to keep your conversations age-appropriate. In other words, don’t overwhelm your first-grader with matters related to heaven and hell, but don’t dumb them down for your teenager either. And don’t forget that there’s nothing wrong with simple conversations, no matter your kid’s age. Matthew 18:3 reminds us that we need childlike faith. There’s something beautiful about the faith your kids can have in something they don’t fully understand. 3. Don’t try to talk about everything in one sitting. You won’t be able to keep your kid’s attention long enough to cover the entire Bible. You aren’t signing up for a weeklong conference after all! Kids often have short attention spans, so a more realistic faith conversation probably looks more like many conversations over the years. Give your children room to listen and process. They’ll bring it back up when they’re ready—especially as you make your faith an active part of your life and you create opportunities to talk about it. We’ve already covered how kids ask questions like it’s their job. But it’s also worth saying that when those questions are about faith, don’t discourage them just because you’re worried you won’t have the answer. Kids ask questions to learn. And when both of you don’t know the answer, well, guess what? That’s a great opportunity to find out together what the Bible has to say. This is also a great opportunity to explain to your kids that faith usually comes with questions. It’s normal! After all, faith, by definition, means not having all the answers but believing anyway. The great thing about God is that He made faith simple enough for a child to understand but complex enough for us to study for a lifetime. You don’t have to know the answer to every question, and neither does your child. But as their parent, and as a steward of the children God has put in your care, you do have to guide the conversation. What do you say when your kids start asking other questions about money and giving? Learn how to teach them God's way of managing money with Rachel Cruze's book, Smart Money Smart Kids. Order it now!